Camphor, eucalyptus and menthol are three essential oils that are used in complementary and alternative medicine to treat a variety of ailments and conditions. Camphor oil is extracted from the leaves, roots or stems of the Cinnamomum camphora tree, while eucalyptus oil comes from the leaves of the Eucalyptus globulus plant. 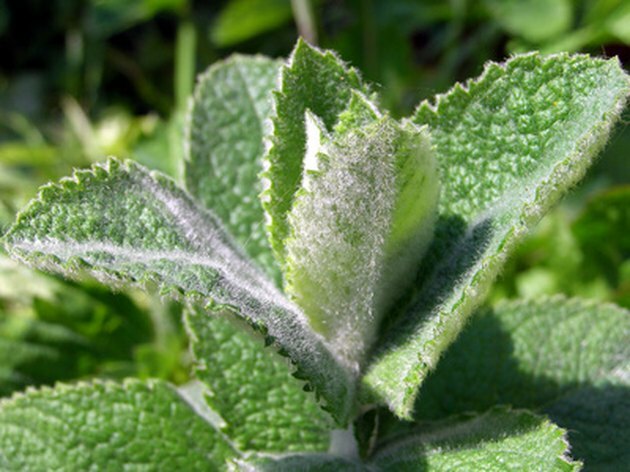 Menthol is extracted from the leaves of various mint plants, such as peppermint. Consult a healthcare practitioner before using them. The most popular use of camphor oil is the reduction of chronic cough. When certain compounds in the plant come into contact with water, they form a protective layer that lines the respiratory tract, thereby guarding it from irritation and potentially harmful substances. Camphor oil has also been used to improve blood circulation in the capillaries, which can raise low blood pressure. Camphor oil has an extremely high potential for toxicity. Because of this, the oil should not be ingested, but rather inhaled as a vapor. The internal ingestion of camphor may cause seizures, especially in those with Parkinson’s disease or epilepsy. In traditional medicine, eucalyptus was used to help control blood sugar levels in diabetics. Its essential oil was believed to increase insulin production, thus reducing blood sugar levels. Currently, eucalyptus is used to treat coughs and reduce the symptoms of the common cold. Inhaling eucalyptus oil may also help loosen mucus, so it is often used to reduce the congestion associated with bronchitis and influenza. In addition, eucalyptus contains a compound called cineole, which can kill the bacteria that cause bad breath. Peppermint oil contains a high concentration of menthol, which gives it its characteristic aroma. The menthol in peppermint oil is used to reduce nausea and cold symptoms and help prevent indigestion. Peppermint oil has also been used to treat headaches and digestive conditions, such as irritable bowel syndrome. Peppermint oil may also help reduce nerve and muscle pain. The Food and Drug Administration does not regulate the manufacture of herbal supplements and complementary treatments. If you are considering using herbal supplements, you should speak with your doctor or healthcare provider about the possible risks, side effects or interactions. Some herbal supplements may cause potentially dangerous complications, especially in those with underlying medical conditions.